Georgian College Orillia Campus Student Residence - Strasman Architects Inc. 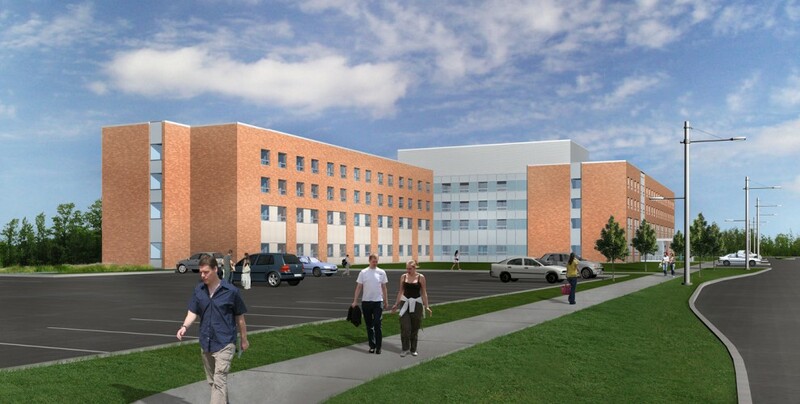 This proposal was in response to an RFP issued to Design/Build,Finance and Operate teams by Georgian College for a 250 bed Student Residence on their Orillia Campus. 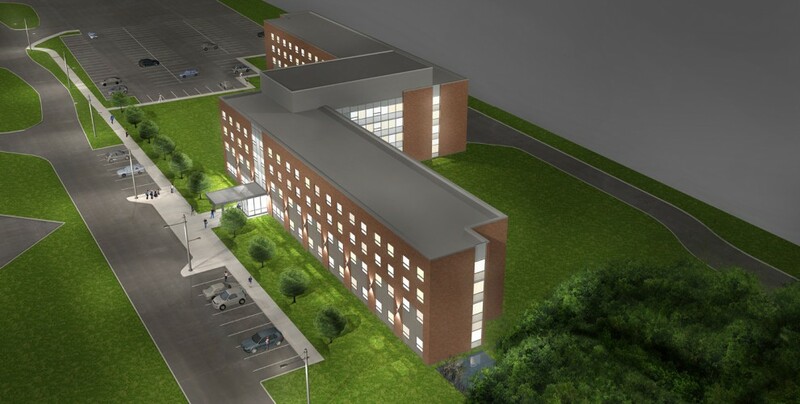 Strasman Architects Inc. was retained by the Buttcon-Sodexo Consortium to design a state of the art residence on a long narrow strip of land located between the College and the Provincial Police Academy to the East. 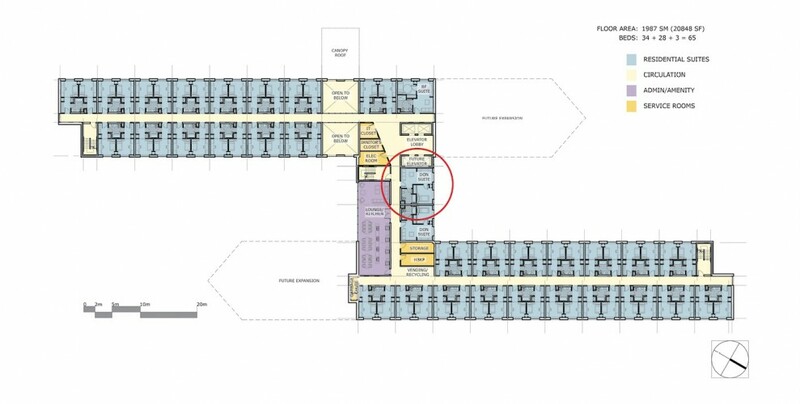 The building is a modified Z plan with two long wings running North and South containing the two bedroom suites and a short connecting wing containing all of the common elements as well as the Don suites and Residence assistants’ suites. A small linear expansion was planned for the two residence wings one to the North and one to the South. 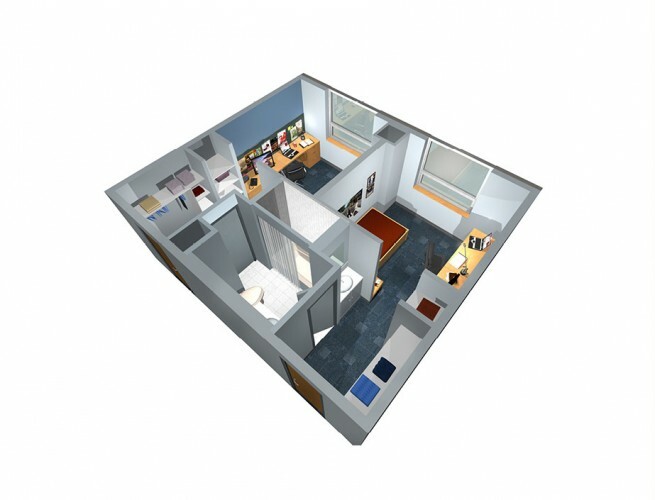 The students are housed in two bedroom suites with a shared Bathroom and a vanity in each bedroom. The cladding is brick to match the existing campus building and glass.